As I told you in post 1223 we arrived at the Stavros junction at 11 o’clock. 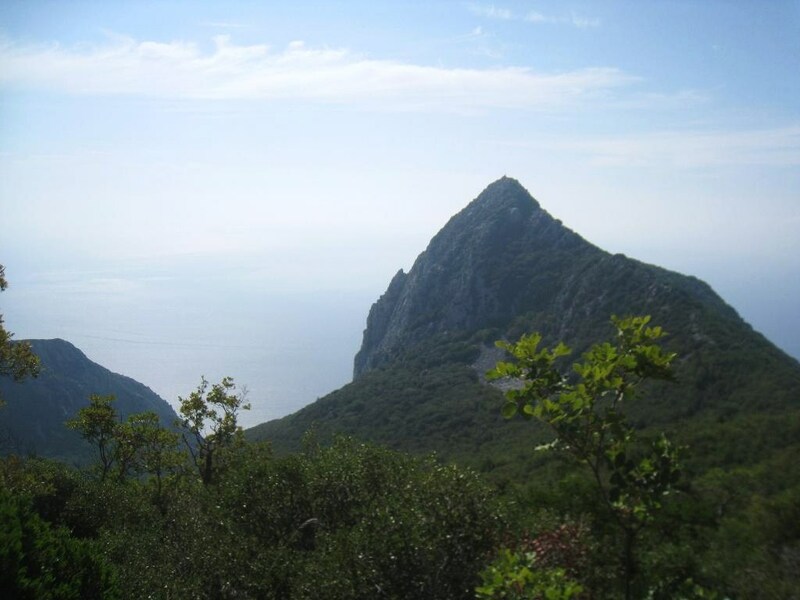 I decided to give it a try and together with pilgrim Peter we took the path that leads to the top. The path to the top, starting at appr. 700 meters and ascending 1330 meters in 3 or 3,5 hours! The first part of the path winds up the mountain with hairpin bends, surrounded by small trees and low bushes/maquis (800 m.). Slowly the vegetation gets less dense. Looking back to the South from this point, you’ll see the Profiti Illiou rock with Agiou Basiliou and Katounakia (on the right) behind it (also see map in 1223). This picture is also taken from the same spot, but now the camera points towards the SouthEast, in the direction of Kerasia and Kafsokalivia. It was such a beautifull day for a climb to the top, almost no clouds in the sky! 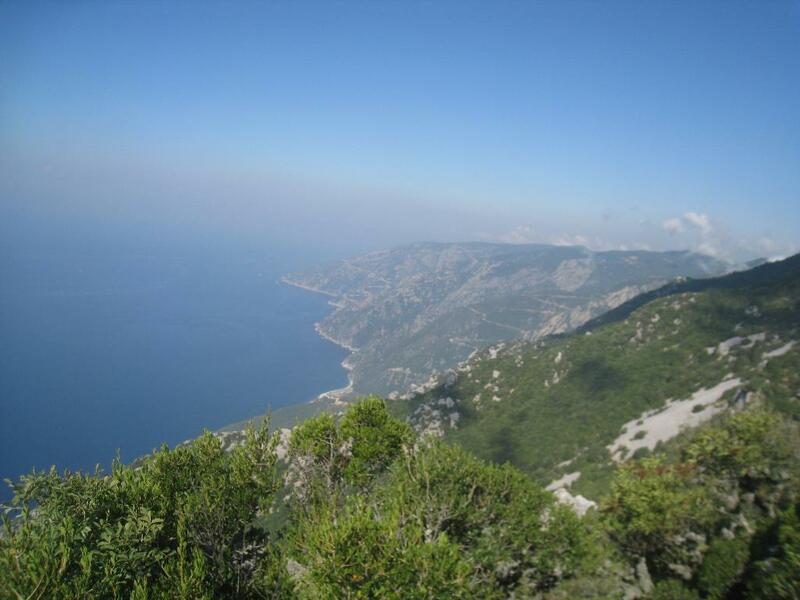 At about 1000 meters you will arrive at a decisive spot, because here the path reaches a place where you can have a look to the North and see the Western cost of Athos. 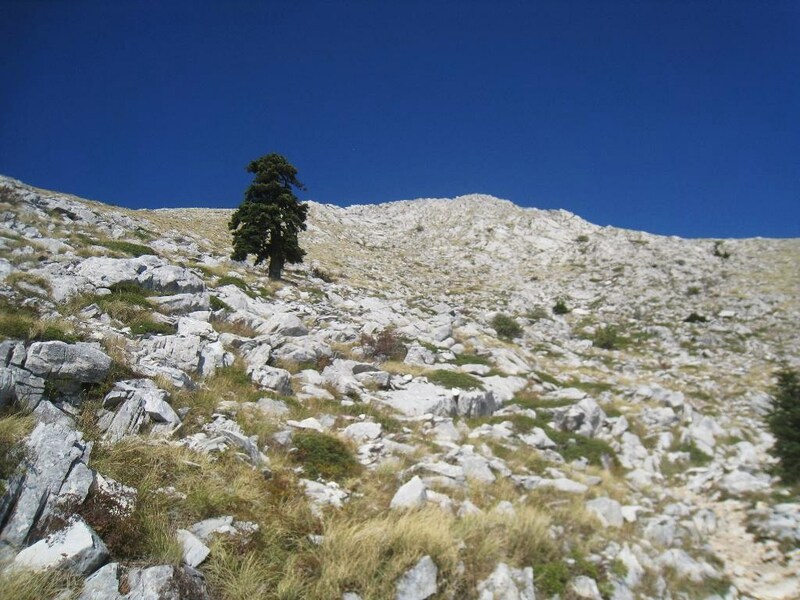 Look up from this point and you already can see the top: only 1030 meters to go! 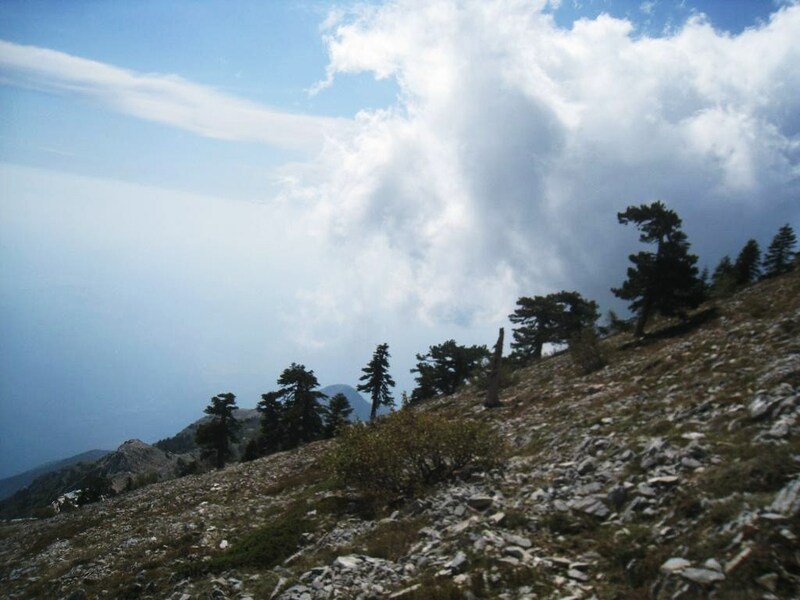 Not far from the Panaghia refuge (1500 m.) the treeline becomes evident. And then the newly renovated Panaghia refuge shows up. As I told you before our group split up in two and the others planned to climb the mountain the 5th of October 2011. What the other group of pilgrims didn’t know that Peter and I also decided to climb to the mountain. I sneaked up to them and when they finally recognized me they were very surprized and glad to see us. The picture shows the moment they started shouting at me! Bas even decided to continue his climb after meeting us, because the climb didn’t come easy for him! Looking back from 1500 m. towards Lavra and Prodromou, where we walked a couple of hours before. 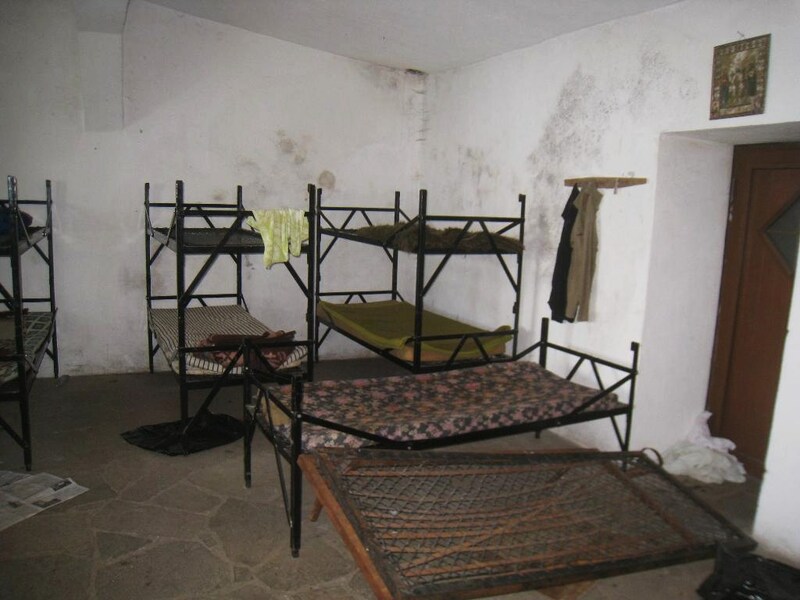 The dormitory, a relative clean but messy place, with primitive mattresses or none at all! I think I would prefer to bring my own and a sleeping bag! 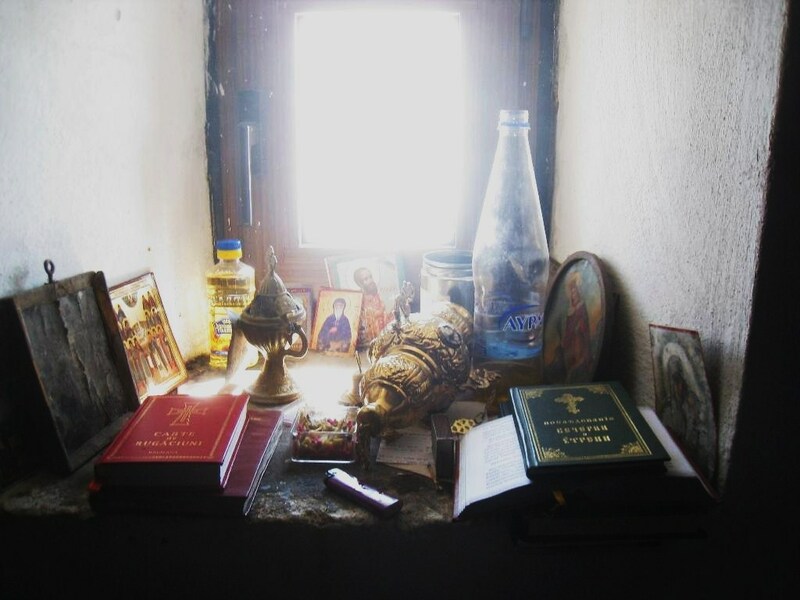 A still life of icons, books, oil and incense burners. The meeting of the two groups at Panaghia. with a bell in front of them, but there were still 530 meters to go! After Panaghia the landscape gets more desolate. Isolated trees, thick and probably very old, mark the surroundings. 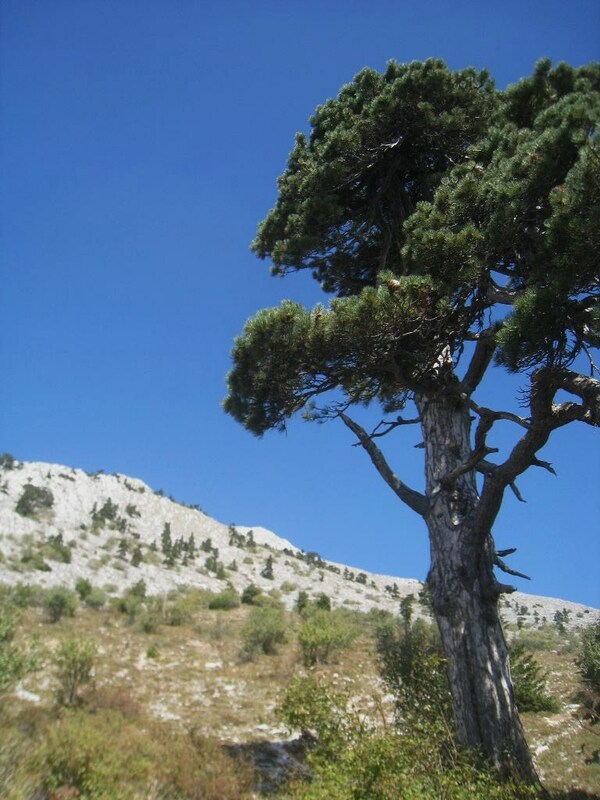 The very last tree before the top…………. 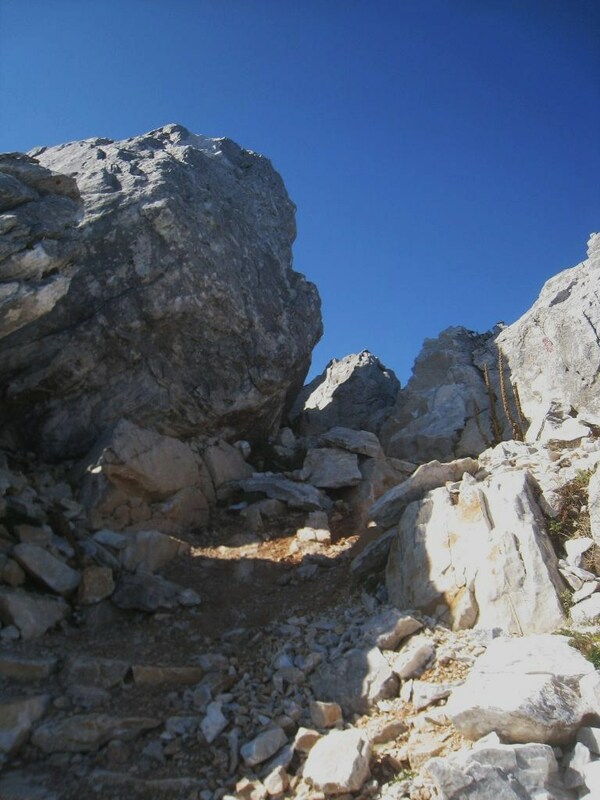 Just before reachting the ultimate goal, you have to pass some rugged rocks. 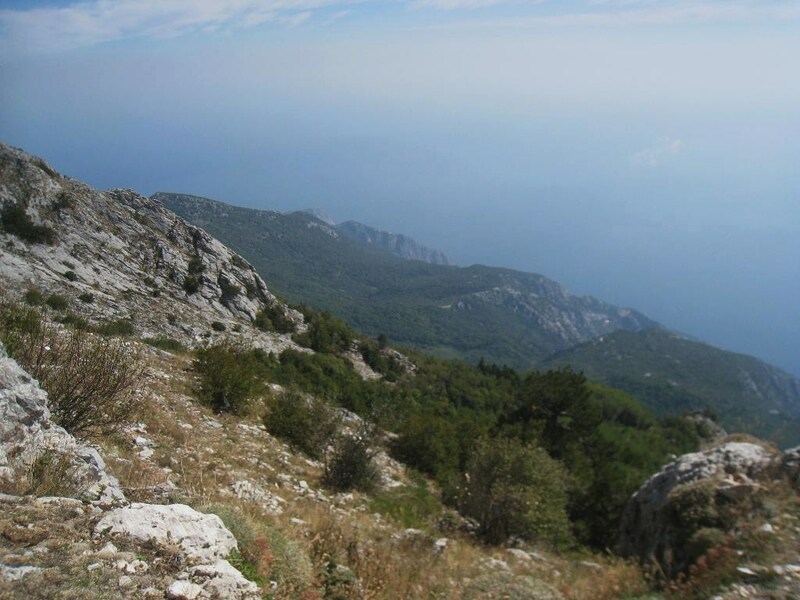 and then, after 3 hours of climbing, you’ll reach your aim at 2030 meters high. Here your author proudly holds the famous iron cross that tops the Holy Mountain for the first time (and last?) in his life! 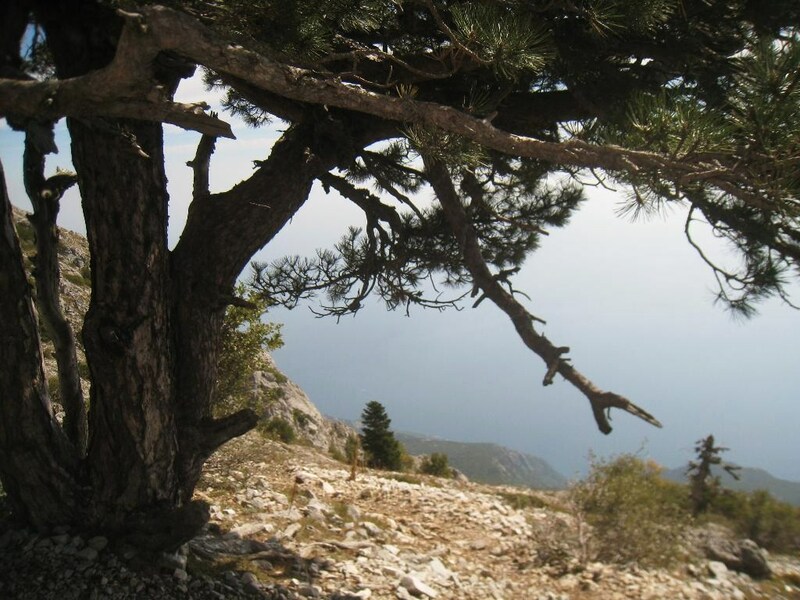 This entry was posted in mountain, trip 2011: Wim's group, walking and tagged monopati, panagia, summit. Bookmark the permalink. Could someone reach out to me and help me with some details? I and a colleague are planning to hike to the top in late July of 2016. I need help planning out my monastery stays and route. Please email me at cthorp@fpco.org. Hello! Thank you for posting, very useful! 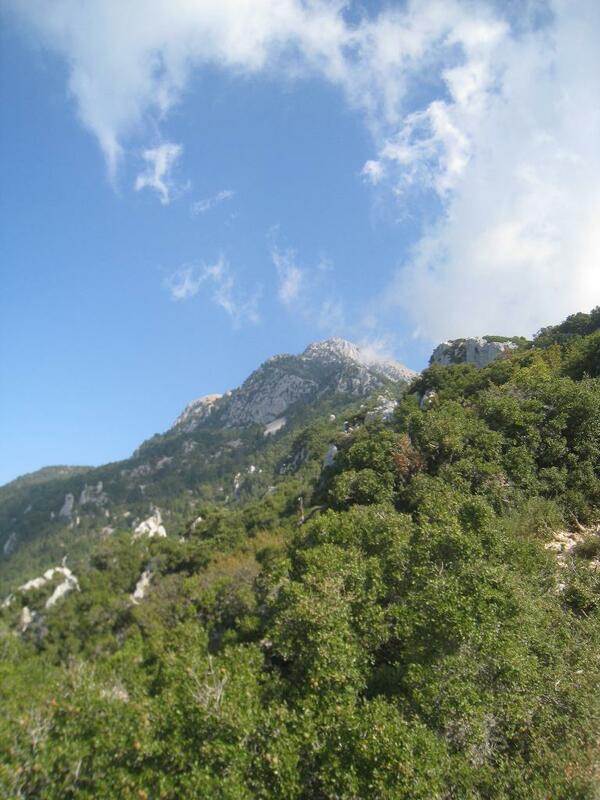 I’m planning to hike Athos Mountain in May. 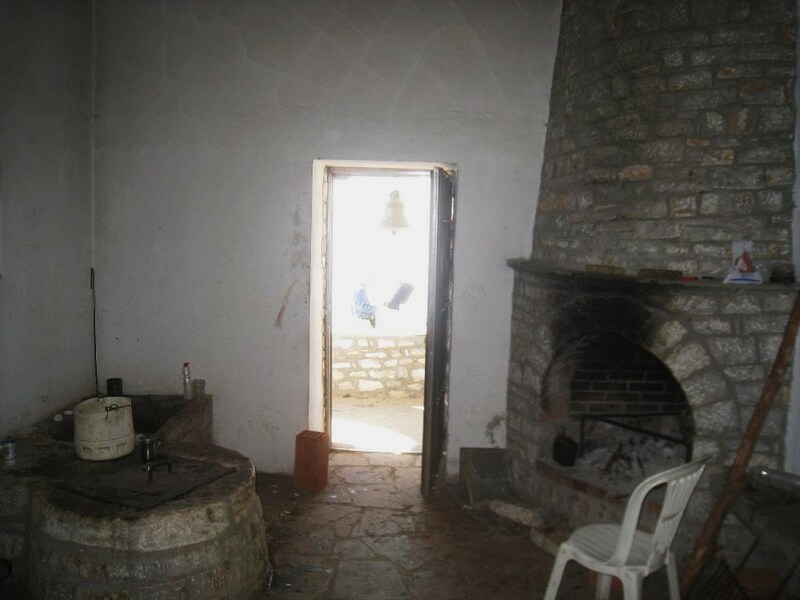 I also need also some information about accommodation in monasteries. Thank you! 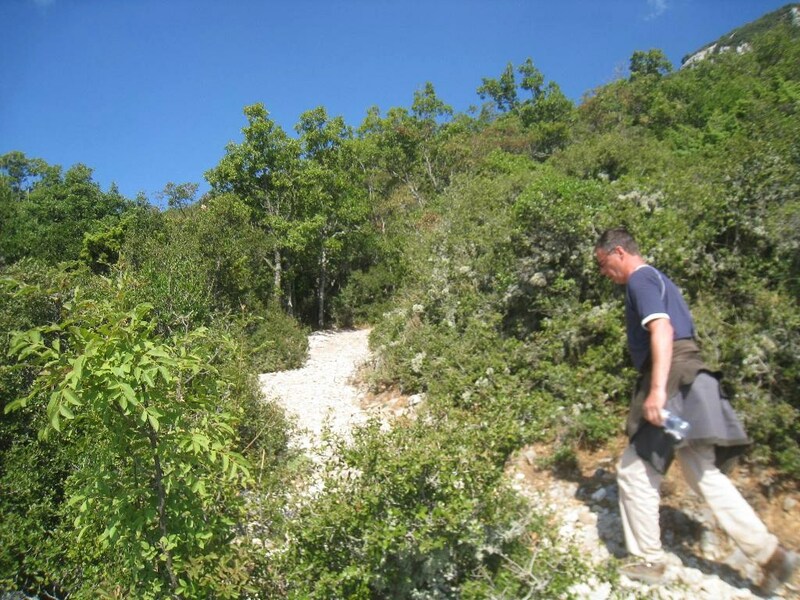 Hi, thank you so much for that useful information about the climb. I’m planning to visit Mt. Athos in March. I read, that there ist a hign possibility for snow on the top of the mountain at this time of the year. Has anyone some experiences about climbing to the top in march? 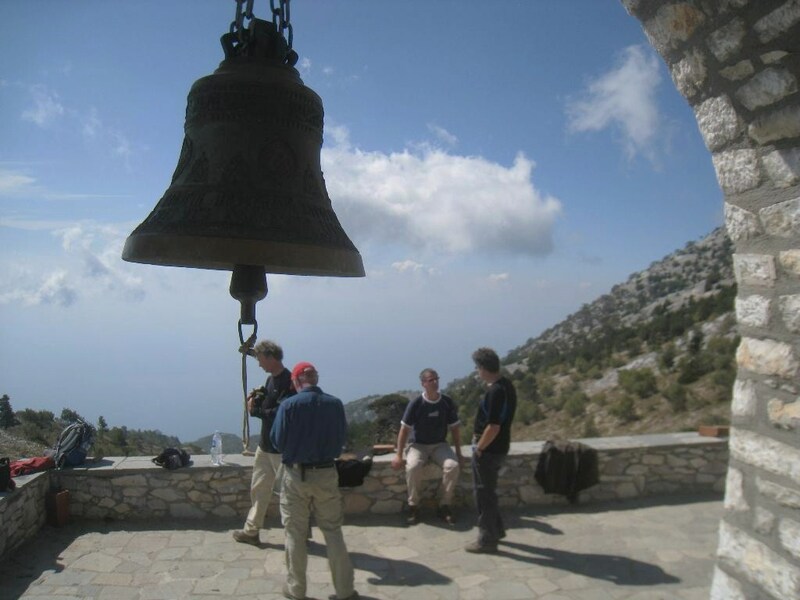 What is the frequency of hikers on the Panagia chapel then? 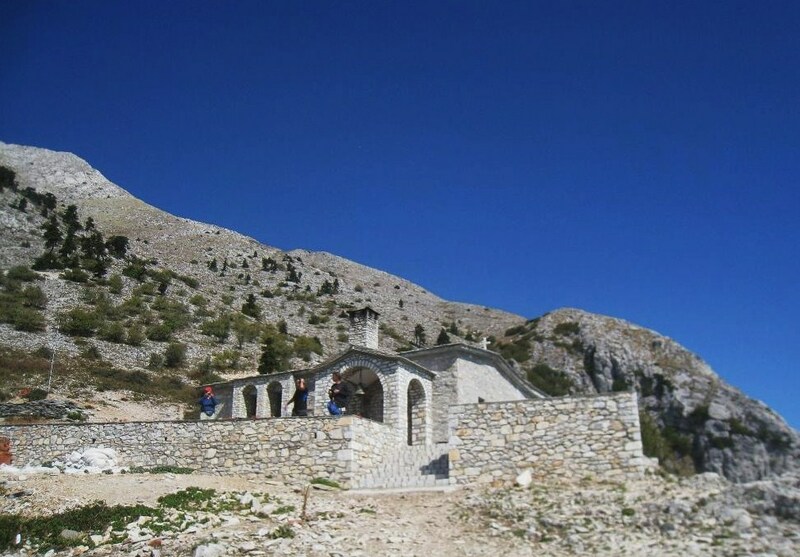 I will be visiting the holy mountain and was wondering if anyone can give me advice regarding where to stay the night before the climb and the night after the climb. Trying to find a way not to climb the whole way up and down at once… are visitors allowed to stay the night at Panaghia? Hi Dan, most pilgrims start their climb to the top from Skiti Anna. If you are in good condition you can also start at Kafsokalivia, Nea Skiti or even from Pavlou and Lavra /Prodromou. These places can also be visited after decending the mountain. And yes, you can stay the night at Panaghia and sleep on simple beds, but you’ll have bring you own sleeping bag or matras (and food). 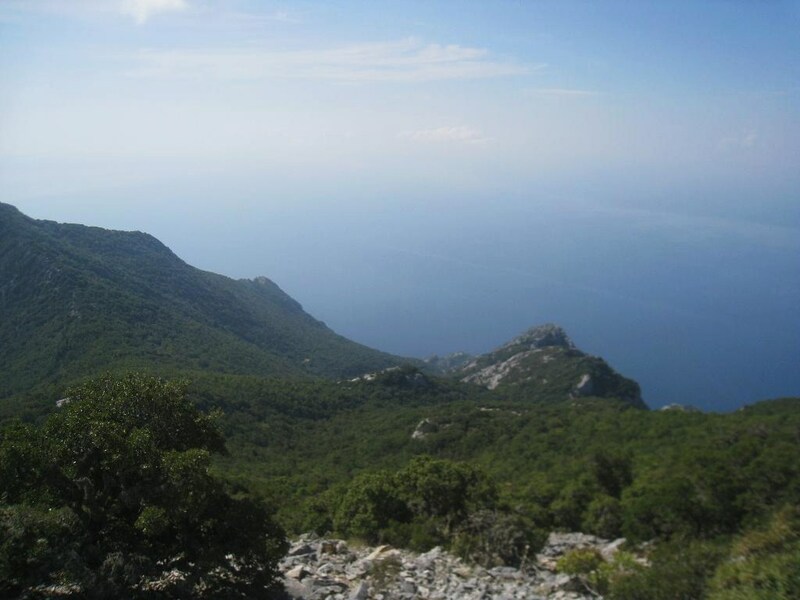 Climbing up from Stavros takes 4/5 hours, going down to this spot 2/3 h. From Lavra to the top and back to Skiti Anna took me 9 h.
I hope you will succeed to reach the top, it is brillant to go there!